This prime storefront is on the shaded side of the highly desirable 900 block of State Street, across the street from the Apple Store and half a block from Paseo Nuevo Mall and Amazon. The turnkey space is stocked with fixtures and finished with a beautiful tile floor. 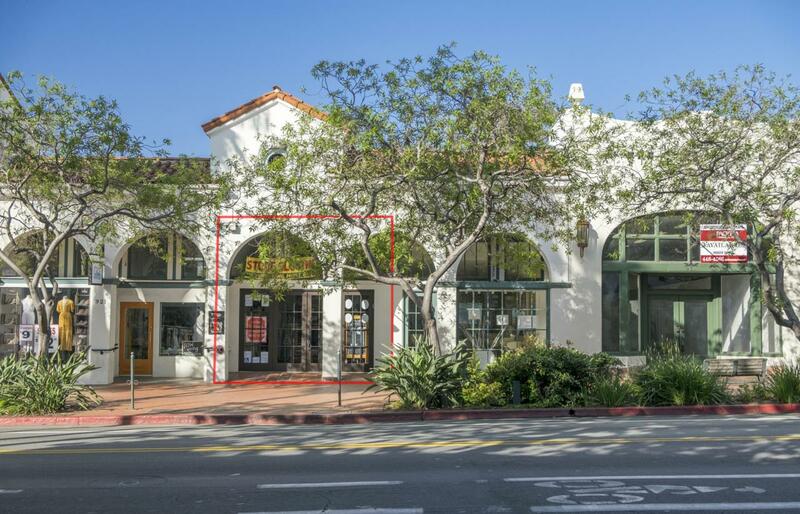 The attractive, arched storefront has prominent signage to draw in local customers and the six million tourists who visit the Santa Barbara area every year.